Erin Manning, aka Red Cardigan, has a post up on over zealous Catholics. 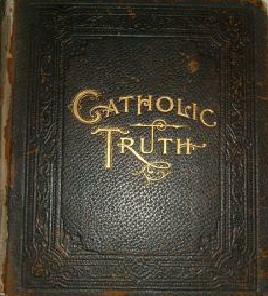 True confession: I am a former member of the The Truly True Secret Catholic Preservation Society. There was a reason that a spiritual director reminded me that “the world already has a savior and His name is not Susan Kehoe”. I took the not very subtle hint. Mostly. Yes, I was a part of the heady movement to Take Back The Church From The Bishops And Other Evildoers back when we met in parish basements (with the full permission of the Right Sort of pastor, of course), drank ridiculously good coffee in actual cups (not to be environmentally friendly or anything suspiciously liberal like that, but because that’s what the parish had), got the business of a shared rosary and an edifying talk from someone at Catholics United for the Faith out of the way, and then settled into a comfortable griping session about our horrible bishop and the horrible chancery and the horrible feminist nuns and the horrible music at that church across town and the horrible way most Catholics received the Eucharist as if He were popcorn and anything else that would let us fixate with deep intensity on the “fake Catholic” splinters in the eyes of our perceived enemies, without ever noticing the huge plank called “Unholy Pride” jutting out of our own. The story of how I eventually realized that this sort of thing wasn’t actually good is a long, convoluted, and not particularly edifying one. And in some senses it’s not over; I still have to fight my knee-jerk “blame the bishops!” reaction on occasion, along with my “If this dreadful music would just go away!” reaction (which is pretty ironic considering I’m in the choir and am one of those singing it). But the choir was actually one of the keys to my understanding just how wicked I’d become in my heart. It was at our previous parish, when we’d joined the choir there. I had planned to sign up alone; our dear late director was the one who invited the whole family, even though the girls were still pretty young at the time. We attended our first practice, and for the most part I enjoyed it. Then Pat, our director, turned to lead us in prayer at the end. I braced myself for the usual, happy-clappy sort of prayer intentions. Prayers for the rainforest or the plight of the immigrant would not have surprised me at all. No such intention came up–but the whole choir prayed together for respect for human life and an end to abortion. And I was surprised. Shocked, even. And then I was ashamed of myself. Had I really decided that these nice people, these fellow Catholics, these members of my parish family would necessarily be soft on abortion or even in favor of it? Because they were the choir? Because they were not “Us” but “Them” in the time-honored TTSCPS way of looking at things? How horrible was that, of me? How much evil had I allowed to take up residence in my heart, in the name of tribalism and of believing that I was one of the handful of elite select Catholics who knew without knowing how that there was an inevitable link between felt banners, communion in the hand, bad music, and grave moral evils such as acceptance of abortion? I felt pretty awful, and I felt worse when I realized, as we got to know this choir, that this particular intention was a “regular.” Other prayers would come and go, but until the last choir practice of his sadly short life Pat always, always, ALWAYS prayed for an end to abortion, and his dear wife and all the other choir members solemnly added our prayers to his. I’m not completely over my impulses to slip back into TTSCPS mode. Maybe I never will be. Maybe because I grew up during the post-Vatican II silly season it will take me a long time not to see a nun in slacks and have my first thought be to thank God for her service instead of to wonder how much of a dissident she must be. Maybe because I sat through guitar-and-tambourine Masses back in the late 1970s I’ll sigh every time I hear these instruments in a church building instead of finding out from the choir after Mass how hard it has been to do anything since the old organ died and Father can’t budget for a new one when they’re trying to build a new church…and maybe, just maybe, I’ll never find it in my heart to call the dismissal of children for Children’s Church anything other than the Rite of Sending Forth the Children so They Can Go Color Things–even though I admit that the lady who runs that program at my parish is a holy, patient, faithful woman whose kindness and generosity are known to all who know her. But at least I know that my desire to consider myself one of that elect number of the Truly True Secret Catholic Preservation Society members was never a good or laudable thing. Deo gratias. Read the whole post here. This entry was posted in Catholic, Catholic Identity and tagged More Catholic than the Pope. Bookmark the permalink.